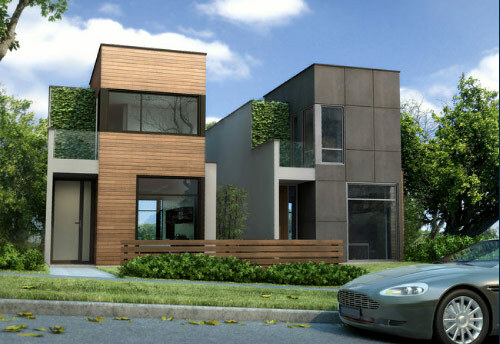 Contemporary side-side residences are coming to 3715 West 15th Avenue, Vancouver. These luxury Vancouver homes for sale are currently under construction and are brought to the luxury real estate market by Homeworx Developers. Providing a fresh perspective on contemporary living, each of these Homeworx luxury Vancouver homes for sale on West 15th Avenue features crisp and clean yet very warm and inviting interiors. The striking exteriors are unique, modern, stylish and contemporary. The luxury Vancouver homes have been designed by award winning David Nicolay of Evoke Design International, one of the most prestigious design firms in all of North America. The West 15th Avenue Vancouver luxury homes for sale by Homeworx and Evoke Deign are also perched high on the hill providing expansive views of the water, city and mountains from the three level residences. The presale Vancouver homes is an opportunity of a lifetime. If you would like more information regarding the 3715 West 15th Avenue Vancouver luxury homes for sale, please visit www.westsiderealty.ca and speak with Tom at 604.351.3750 today. 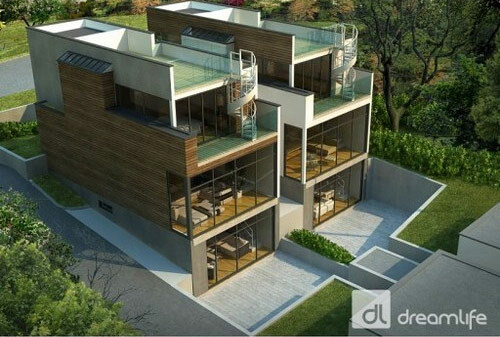 There are two luxury and contemporary new Vancouver homes for sale and both are listed at $2,300,000. These ultra contemporary Vancouver Westside homes for sale are truly unique and provide a stunning exterior façade and architecture that is unreal. Designed by Evoke Design International and built by Homeworx, the collaboration features some of the most luxurious and prestigious Westside residences located at 3715 and 2735 West 15th Ave, Vancouver, BC. The scheduled completion date is for the fall of 2010, but both homes are available in presales right now. Although the two homes differ slightly in lot and home size, both of the Homeworx Vancouver luxury homes for sale are listed at $2.3 M and include fully finished basements and detached two car garages per home. The completion will be in 2010, so the property taxes are unknown at this time. The lot frontage is approximately twenty six feet while the lot depth is 122 ft. The Homeworx Vancouver Westside home lot size area is approximately 3200 sqft. The homes themselves will feature bright and open concept floor plans that will include three bedrooms and 3.5 bathrooms, perfect for families and couples. The interior living space is about twenty two hundred and nineteen square feet over three levels with a paved back patio and garden space. The architecture is stunning, with wood paneling and lots of glass. These contemporary Vancouver Westside homes for sale provide the best in contemporary living this city has to offer. Again, the floor plans at 3715 versus 3725 West 15th Avenue, Vancouver may be slightly different, but they are side-by-side residences. The proposed floorplan for these Westside Vancouver luxury homes for sale by Homeworx and designed by Evoke Design International consists of a main floor with open kitchen (large island in the middle, with wall ovens, single bowl sink and lots of cabinetry space) in addition to a large dining area and living room. Also on the main floor is a powder room. This floor is 793 sqft. The upper floorplan for the Westside Vancouver Homeworx Homes at West 15th Avenue is 634 sqft in size and features the master bedroom with a closet wall, huge master ensuite with separate soaker tub from large walk in shower, a separate toilet room and large single bowl horizontal sink. In addition, there is a second bedroom on this level with a separate bathroom with tub/shower combo and it’s own deck. The lower floor plan at the 3715 West 15th Ave, Vancouver Homeworx homes for sale is 793 square feet in size with a mechanical room, laundry room, den, guest bedroom and a bathroom with a large walk in shower. Also downstairs is a large family/media room with wet bar. Outside, homeowners at these luxury Westside Vancouver homes for sale can enjoy a built in BBQ on the large patio deck.